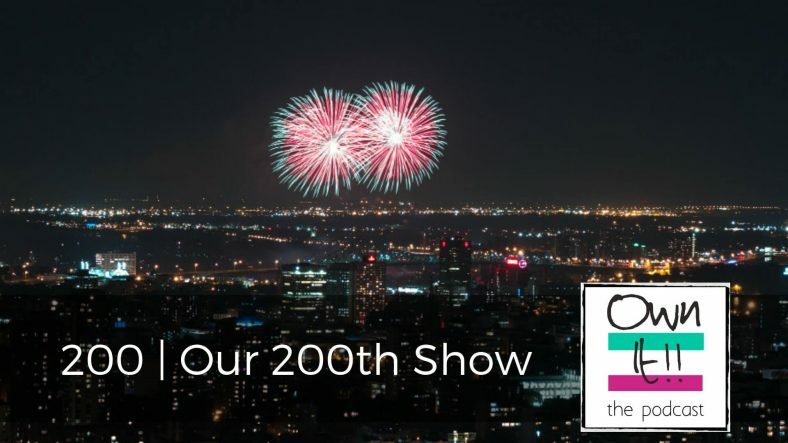 25 listeners and contributors from all over the world used the Speakpipe app on Nicola’s website to send in their thoughts and congratulations and are featured in this 200th episode of Own It! Are you one of them? Nicola and Sarah have taken a day trip to the Apple repair shop in Kalamata to try to sort out Sarah’s broken laptop. Meanwhile, they are sharing – eek! She also updates Judith on the LitFest, the Arts and Crafts Fair and her continued wrangling with Booking.com. Judith’s found an easy and legal way to dispose of her printer, enjoyed a visit from Lotte and discovered a potential issue with new clients coming via her increasingly effective SEO. She’s flagging the differences between warm and cold traffic and simply observing for now. Two observations do not a disaster make. Judith enjoys a session with a lady who dowses using a crystal, and Nicola discovers a new way to resuscitate her vzine. Twenty-five listeners and contributors from all over the world used the Speakpipe to send in their thoughts and congratulations on the first 200 episodes of Own It! and encourage Nicola and Judith to make 200 more. Nicola and Judith discuss what they like about these messages and what they have learned from their encouragement. Nicola chooses Expectations and Judith picks Clairsentience. As Sarah and Nicola re-open the podcast’s own website, Judith discovers three new Patreons she didn’t know were supporting the podcast and thanks Kristina, Esther, Richard and Irene. Judith was (unusually) impressed by herself in a very busy and potentially stressful time in her life and work, and Nicola waxes lyrical about the wonderful service and natural selling she spotted at iRepair – the Apple repair shop in Kalamata town centre.